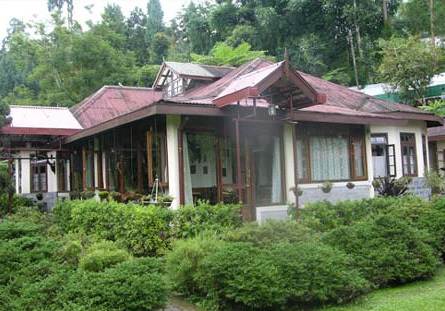 Nearby Attractions of Holumba Haven: Sightseeing in and around Kalimpong town. Monasteries, Temples, Churches, Floricultural nurseries and Tibetan handicrafts shops. Gangtok and Darjeeling can be easily reached by car. Things to do while staying at Holumba Haven: Rafting is done on the Teista river. Trekking into the Neora Valley National park. Nature walks to nearby local villages like Gumba Dara, Gitdubling – Budhabare & Suruk – Shamthar. Sightseeing of Kalimpong and Delho viewpoint, Durpin view point. Holumba Haven organizes transport, trekking, tours, river rafting, cultural entertainment and cycling in or around Darjeeling, Kalimpong, Bhutan and Sikkim for its guests. How to reach Holumba Haven: Holumba is located on the main highway, a km ahead of Kalimpong. From Siliguri: Tourist coming to Kalimpong via Siliguri can either hire a taxi or a bus. They are available at New Jalpaiguri (nearest rail head – 75 kms). Time taken around 4 hours. From Bagdogra (nearest air terminal – 80 kms): Time taken 3.5 hours. From Siliguri town 67 kms. From Darjeeling: Either by jeep/bus. Time taken by jeep/car 2 hours. Distance 55 kms. From Gangtok (Sikkim): Car/jeep/bus. Time taken 3.5 hours. Distance 84 kms. 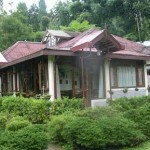 Lodging & Dining facilities at Holumba Haven: Holumba Haven, a garden home offers the best of hospitality. The premise of “Nurseryman’s Haven” is the location of this guesthouse. Holumba offers rest and comfort to its guests in affordable and attractive five wooden chalet cottages inside the ‘Holumba Haven” complex that is situated with an orchid farm on the one side and a botanical park on the other. The five chalets are Magnolia, Bamboo Groove, Wood Cot, Spring Site and Tree Tops. Each has three rooms with double bed, attached bathrooms and kitchen. The bathrooms are supplied with hot and cold water for 24 hours. Arcadia is another cottage with two living rooms, attached baths, a dining room and a kitchen. The rooms are well decorated and furnished. In the evenings, the cottages are lit with ostentatious lamps. It would have been a great help for me to plan my travel if I can actually know the approx budget for the mentioned destinations in the website. Devnag, please drop your requirements and we would email you the latest offers and discounts. We did not keep the prices on the website and they tend to change with seasons. You may miss the special offers that are sometimes offered by the Home Stays. Thus, our reader get the best/latest offers from the Home Stays for the season they want to travel.